Apart from tucking your child into a cloud each night, the Serta Perfect Sleeper Sadie mattress set provides the most plush, pillow-soft environment you could dream of. 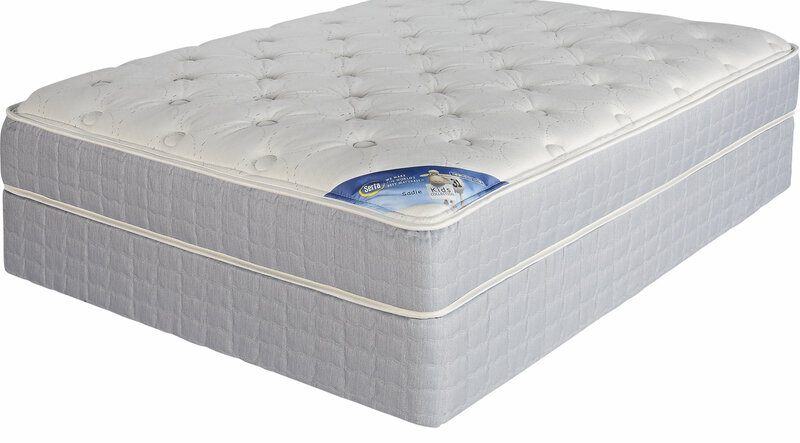 Utilizing Serta's 532 Continuous Support innerspring coil design, delivering a stable, durable surface that absorbs your child's every motion, this plush mattress is not only comfortable but it's supportive, too. A supportive foam encasement extends the usable sleep surface to the mattress edge, keeping kids safely on the mattress even when they move during the night. Layers of body-contouring PillowSoft foam are enhanced by Cool Twist Gel Memory Foam for pressure point relief with increased airflow that helps to dissipate heat. Topped off with an antimicrobial cover made of Cool Balance fabric, similar to material used for sports gear, this mattress works to wick away excess heat and moisture to promote a cooler sleep environment.